Construction of the mosque in the small town of Bergerac -- known for its fine Bordeaux wines and for its association with literary figure Cyrano de Bergerac – has been contested since it was first proposed in 2017 and finally approved in October 2018, despite widespread local opposition. "The perpetrators smeared the walls with animal blood and placed a severed pig’s head" on the front gate of the construction area, the deputy public prosecutor of Bergerac, Charles Charollois, told AFP. The vandalism took place overnight and wasn’t discovered until workers arrived in the morning. Bergerac’s police commissioner, Frederic Perissat, "strongly denounced and condemned these acts that damage our freedom of conscience and expression and are contrary to the principles of separation of church and state," and called for "mutual respect" in the community. "I can’t say that they’re connected, but I note that they’re in the same spirit," Garrigue said. 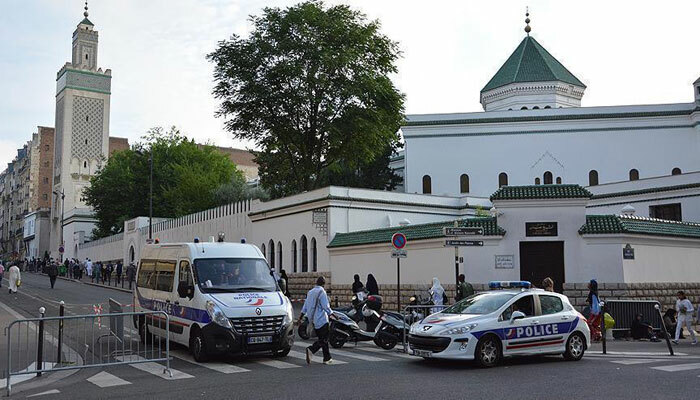 France is home to Europe’s biggest Muslim and Jewish communities alike, and both faiths have been recurring targets of hate crimes in recent years. Attacks on mosques and Islamic sites have been a yearly occurrence since 2007, when 148 Muslim headstones in a national military cemetery near Arras were smeared with anti-Islamic slurs and a pig’s head was placed among them.